Earlier this morning, we reported Opel CEO Dr. Karl-Thomas Neumann may not stick with the company much longer. Now, it’s official. Neumann has officially stepped down as CEO and Speaker of the Management Board. He will, however, stay on Opel’s management board until the sale of Opel and Vauxhall to PSA Groupe is completed. “It was a difficult personal decision to not continue with the Opel/Vauxhall team when it transitions to Groupe PSA. I am proud of the team for all we have accomplished so far and have no doubt that the move to PSA will make Opel/Vauxhall an even stronger and more successful company in the future. I am committed to completing this transaction and will then take some time to decide what is next for me,” Neumann said in a statement. Opel’s board unanimously voted for Michael Lohscheller to succeed Neumann as Opel’s CEO, formerly the brand’s chief financial officer. 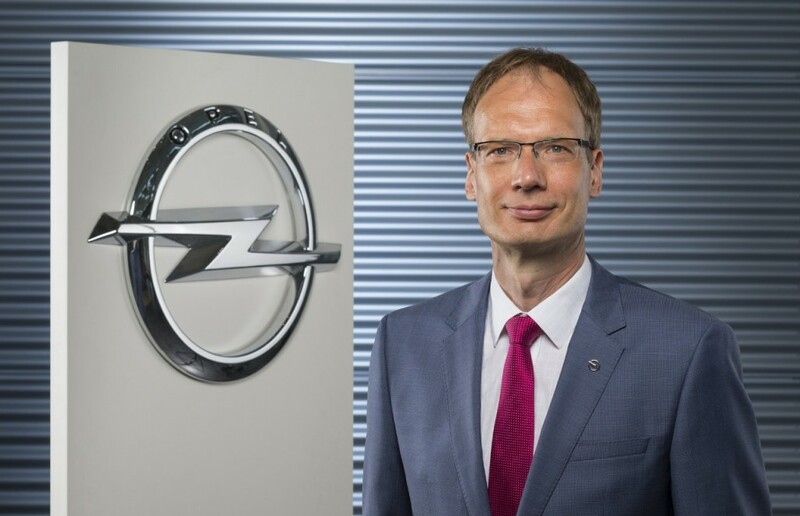 He will be tasked with forging a vision for Opel under its new ownership. “I would like to thank the Supervisory Board for the trust. We will stay on the current path and continue to gain strength as part of the Groupe PSA. After the expected closing of the transaction, a new European champion will emerge. I am looking forward to the new task and to working together with the management team to implement a successful future plan for the benefit of all 38,000 Opel/Vauxhall employees and its stakeholders,” Loscheller commented. Loscheller’s appointment is effective immediately. Neumann may have something bigger on the horizon, though, as Volkswagen has reportedly approached him to become CEO of Audi. KTN was non event from the start. Totally the wrong man for the job. This is the first bit of good news to come out of the post PSA era. Good bye and good riddance. Lohscheller is a bean counter and in no way a visionary, however, with the current financial situation perhaps that is what is needed….perhaps! Agree, Lohscheller and beans have a lot in common. Never, ever seen a “visionary” accountant in my life – just saying. This might play into the hands of PSA in terms of driving manufacturing costs down – slash and burn strategy – but it’s bad for Opel in the long term. Invariably, bean-counter CEOs kill off R&D departments, or at least drastically reduce their budgets, which is where innovation comes from. Marketing depts also suffer, so market awareness declines during austerity provisions. GM shouldn’t be losing talent to Audi. Put him in charge of Chevrolet. I agree Mike, almost has a repeat of the Lopez fiasco feel about it. One thing is for sure neither GM nor PSA are “losing talent”. It would be odd for him not to have stayed familiar with VW and other German automotive leaders. KTN was handed an Opel with too much capacity and labor guarantees. KTN was handed the PSA partnership when a EU produced Envision could have closed the 50million post Brexit loss based on pound depreciating. Audi, a leader, wants KTN because he has talent. And his contract, no doubt, has a ‘change of leadership’ clause. So if you step down or are released ‘without cause’ – a sizeable exit package awaits. That’s usually how it works for the takeover-ee. Big €s, in this case. But he’ll stay on the board (more €s) until the transition is completed. And if his contract is good (guessing it is), there’s no giveback if he goes to Audi. Just more €. What about Neumann’s post as Executive Vice President of GM Company?